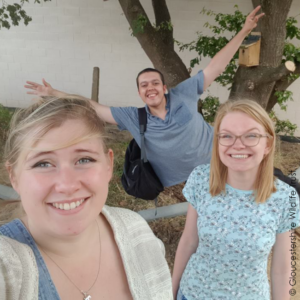 In August Milly Spencer became the Our Bright Future Intern at Gloucestershire Wildlife Trust. Before we begin, introduce yourself! How did Our Bright Future enter your life? My name is Milly, I’m from Manchester and moved here (to Gloucestershire) to study. 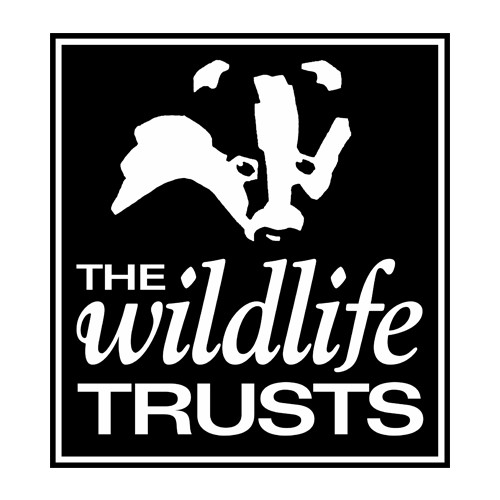 I recently graduated with a degree in Wildlife Conservation, and have just started this internship at the Gloucestershire Wildlife Trust Our Bright Future project. Before Our Bright Future, I’d been volunteering with The Conservation Volunteers (TCV), doing conservation and gardening tasks and was really enjoying it. When looking for my ‘ideal job,’ I became concerned that there weren’t many relevant jobs out there, and to be honest I started to doubt my degree choice! As it would happen, I took a jobs quiz and the result pointed me in the direction of community project work. I soon realised how much I loved my volunteering with TCV and how much I’d like to get more members of the community involved in looking after their local green spaces, especially given how much people’s wellbeing can benefit from being outside. 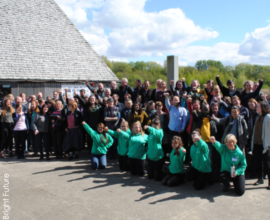 Our Bright Future is working with communities to improve urban environments for both people and wildlife, so I decided it was the perfect job for me! This particular project aims to get young people working together in groups to improve greens spaces in social housing areas. This not only helps them learn new skills, but also improves the local area for the residents, visitors and wildlife. 16 to 24-year-olds from any background can get involved in this project. 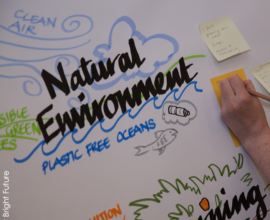 It’s an excellent tool to improve social skills and to gain a better understanding of the environment. Along the way, participants develop transferrable skills such as gaining confidence, which improves their employability. The project is based at three sites. At each one, amenity grass has been transformed into wildlife-friendly gardens through building raised planters, compost areas and animal houses – perfect for mammals, birds and insects. What does a typical day on the project look like for you? My work is actually quite varies. I’m based in the office at Robinswood Hill, doing research for the various campaigns. One day I’m looking at seeds and flowers and collating information, another day I may be designing a seed packet or getting quotes for communications materials. Sometimes I will go along to the community sessions with the project manager and help out with the gardening. Can you tell us what is your favourite aspect of the project so far? The best bit by far is going to the gardens and working with the project participants. It’s great to see them getting involved, learning new skills and being proud of their achievements. The project is teaching young people practical skills that they can use in their own gardens. As a result, they will be more capable and confident to tell others about wildlife gardening. You clearly love what you do, so sell it to us. 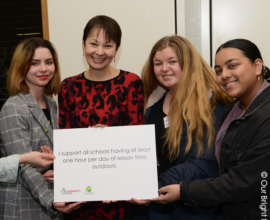 Why should more young people get involved with Our Bright Future? Through getting involved with Our Bright Future you get to meet new people with similar interests to you! Being outside, you get plenty of fresh air. It’s relaxing and a great way to improve your wellbeing. It’s free to attend and you can gain an AQA in Habitat Management and Community Engagement. We focus on recycling materials, using pallets, downpipes and even chicken hutches to make homes for wildlife. Every activity improves urban habitats. You will be supporting a wide range of local species from house martins to hedgehogs and solitary bees. Tuesdays 2pm-4.30pm at the Our Bright Future Training Garden, 101 Queens Road, Priors Park, Tewkesbury. Wednesdays 2pm-4.30pm at the Whaddon Youth Centre, Dart Road, Cheltenham. Fridays 1.30pm-4.30pm at The Redwell Centre, Redwell Road, Gloucester. 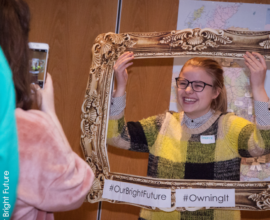 Find out more about Avon and Gloucestershire Our Bright Future here.